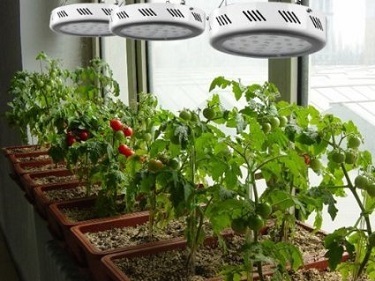 ~ Choose The Right Light: When choosing a light source, the requirements of the plant you are growing is important. Most vegetables, herbs and flowering plants require high levels of light, while some tropical plants, including orchids and African violets, will thrive at lower light levels. ~ Have Enough Light: The biggest mistake people make when purchasing grow lights is not getting enough light. It is always possible to reduce the level of light by moving the light farther away, but its not possible to add light by moving the lamp closer, since the coverage area decreases. ~ Maintain the Proper Distance: Fluorescent lights need to be 1 to 4 inches from the plants. High intensity discharge lights should be 1 to 3 feet from the plant. And make sure you change your bulbs on a regular basis. Fluorescent and HID bulbs will last about 15,000 hours, but they lose 25%-35% of their intensity after 4-6,000 hours. Your eyes won't be able to see this loss of light because they adjust, but your plants can feel it.